But Scottish ports are not currently competitive in a global market dominated by the likes of India, Bangladesh, Pakistan and Turkey. The study said 17 production assets in Western Europe could be removed between in 2017 and 2030, while 14 operational drilling rigs have been identified as candidates for stacking and eventual decommissioning. There are currently 46 stacked offshore rigs in the region, with the majority in Norway and the UK. But the report warned that a lack of British-owned heavy lift vessels could dilute the UK’s share. 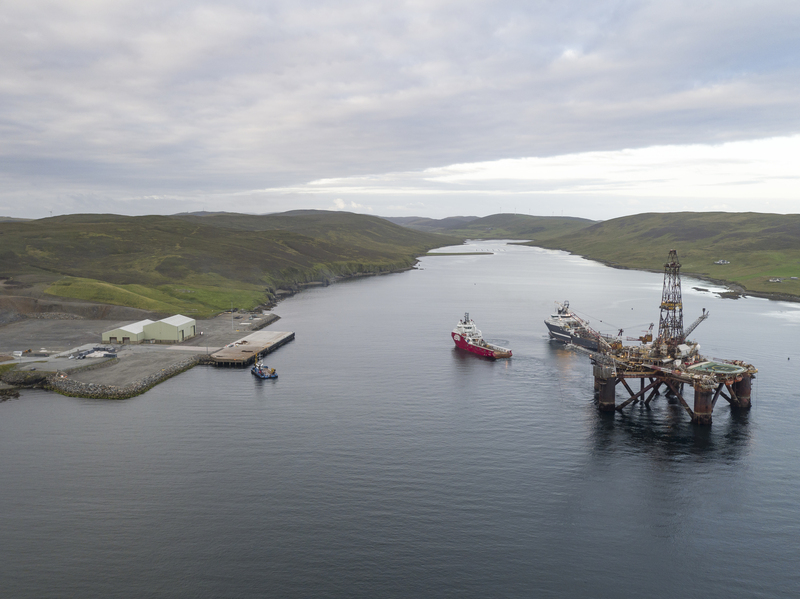 Scottish and UK harbours have had “minimal involvement” in the global vessel decommissioning market in recent years, according to the research, carried out by energy consultancy Westwood Global. Just eight vessels were taken to the UK for dismantling between 2013 and 2017, compared to hundreds in India, Pakistan, China, Bangladesh and Turkey. The report said “less scrupulous” owners were changing the flag state of their vessels so that decommissioning work can be undertaken in the “dominant countries”. Three rigs are currently being held in the Cromarty Firth amid fears that they will be taken to India or Bangladesh − where environmental and safety standards are lower than in Europe − for dismantling. Westwood says a number of Scottish ports could “in time” become competitive. At present, bases in Shetland and Dundee are best prepared to service the market immediately, the report said. Westwood said the presence of a tier one contractor is the most important factor for companies trying to decide where to have their assets dismantled. It said having Veolia and Peterson operating at Dales Voe would have been key to Repsol Sinopec Resources UK deciding to have the Buchan Alpha platform scrapped in Shetland. The report identified the six main challengers to Scotland’s ports – AF Decom and Kvaerner’s bases in Norway, Able UK in Hartlepool, Veolia and Peterson in Great Yarmouth, Harland and Wolff in Belfast and Scheepssloperji in the Netherlands. Westwood said dry docks could offer a competitive advantage if they already exist at a port. But the level of activity forecast at this stage is too low to justify building one from scratch. The study was commissioned by Highlands and Island Enterprise (HIE), Scottish Enterprise (SE) and Scottish Government through the Decommissioning Challenge Fund (DCF). DCF was launched a year ago to give Scottish ports and organisations more clout in the market. Last month, six Scottish projects were awarded a share of £1.5million as part of the second round of the DCF. Kishorn Port in Wester Ross was among the projects to have won a share. It will invest its share in upgrading its dry dock, which will involve installing a permanent pumping system, carrying out concrete repairs, and resurfacing an access road.